The Challenger 300 is one of the most popular corporate jet aircraft due to its versatile capabilities and comfortable cabin. It can fly to Europe from practically any U.S. city with only one stop, and can access more short runway airports than any other aircraft in its class. 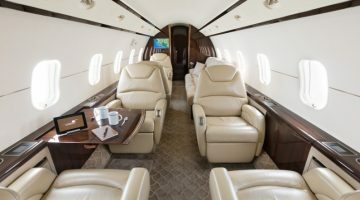 The Challenger 300 features the largest cabin in the super-mid category, with a stand-up cabin of over six feet, configured to accommodate 10 passengers. The roomy interior has an aft fully-enclosed lavatory with sink and the forward galley includes ample room for meal prep and storage for refreshments and snacks. 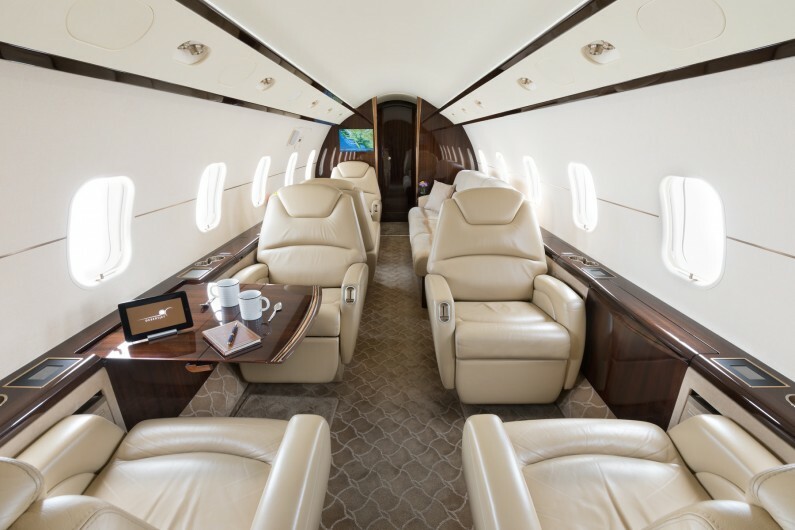 The seating configuration consists of beautiful new leather seating for six, a large three-seat divan in warm neutral colors, and a tenth optional seat available in the enclosed lavatory. The divan converts into a bed on longer flights, opening destinations such as Hawaii and Europe to Desert Jet clients. The galley prep area includes a microwave for freshly prepared, hot meals on longer flights. The spacious luggage area can be accessed and can accommodate a substantial amount of luggage, including items such as snow skis and golf clubs. Inflight wifi is complimentary and satellite phone service is available. In addition, a cabin attendant is provided for longer flights and on request. When launching the concept at Paris in 1997, Bombardier revealed they had extensively researched operator’s needs for a jet of this size. When the aircraft first flew in 2001 it demonstrated operating costs of $770 per hour and the ability for relatively short field performance. The Continental was renamed the Challenger 300 at NBAA 2002 and received its certification in 2003. 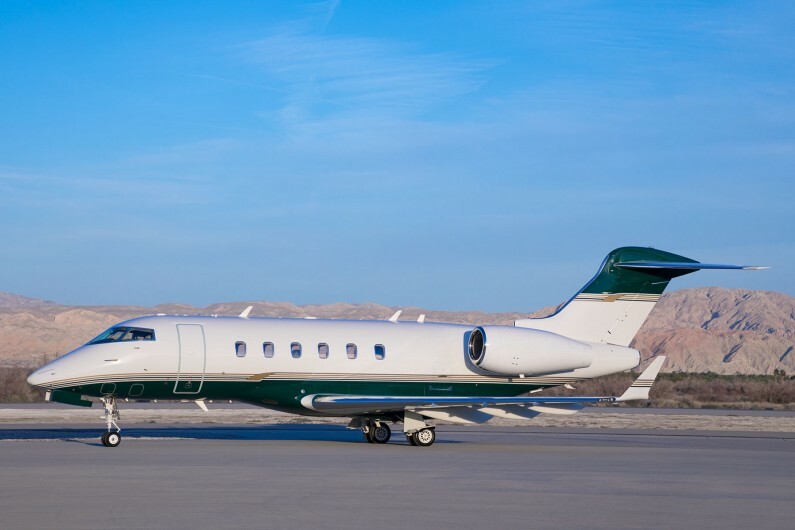 To date, Bombardier has delivered hundreds of Challenger 300 aircraft and it has become one of the most popular aircraft in the super-mid category. Bombardier claims the Challenger 300 offers 39% more cabin space and 20% more range than the leading, mid-size business jet. 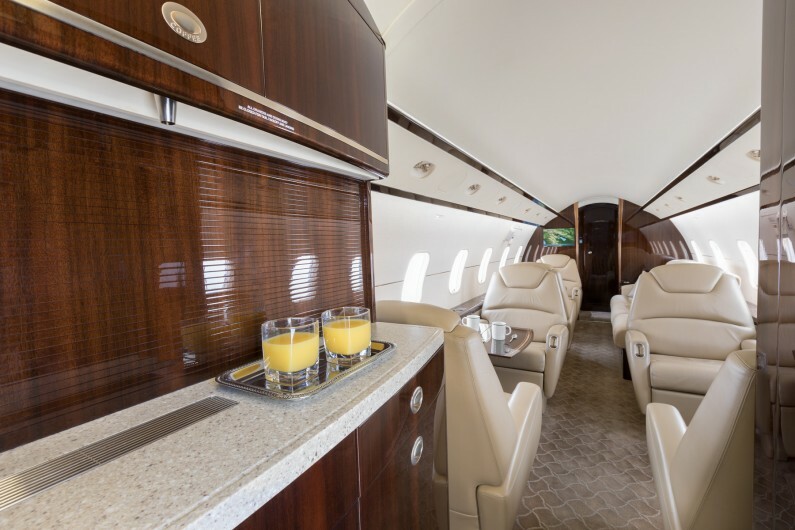 Bombardier also boasts the cabin is larger than the Falcon 50 and the Citation X. 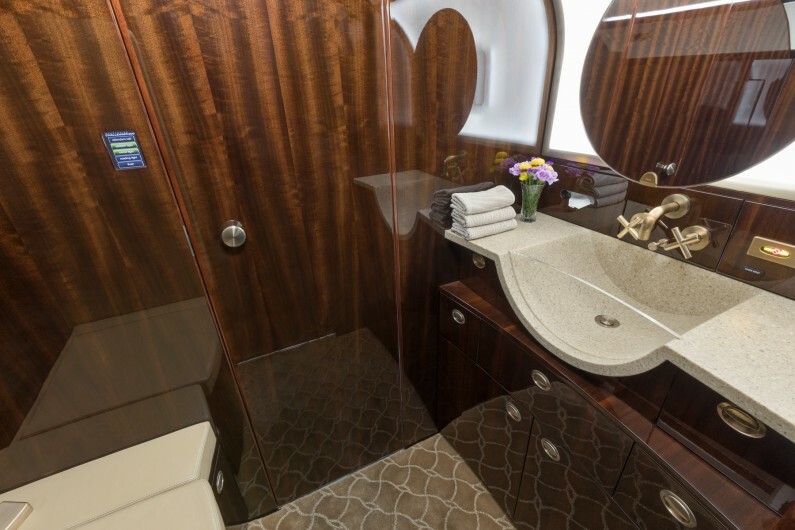 Passengers aboard the Challenger travel is luxurious comfort combined with incredible amenities such as a galley with refreshment center, forward wardrobe, and flushing lavatory, stand up headroom and a flat floor throughout the cabin.